The organization is testing a feature that will allow users of the app to look through their address books to make encrypted calls and texts, without the app having access to a user’s contacts, reports Wired. Members of the security and cryptography communities have said that Signal accessing users’ address books conflicts with the app’s promise of near-total security. Open Whisper is developing a new method in which its servers mine users’ contacts to find other Signal users, while deleting the rest of the contact data, before it ever touches the nonprofit’s servers. The new method makes use of a new Intel processor feature called Software Guard Extensions, which have a “secure enclave” in their processors that run an unalterable code. Open Whisper wants to run users’ address books through this enclave instead of their own servers, meaning that Signal could provide contact information for other users on Signal without ever actually seeing their contacts. Oculus wants people to keep buying VR content, but one bad experience with an overpriced piece of crap game can rub a user the wrong way. Today, the company announced that they’re putting formal processes in place for users to get refunds for VR content that didn’t meet their expectations. There are obviously stipulations, the major one being that for Rift titles you must have purchased the titles within the last two weeks and can’t have dropped more than two hours into it. For Samsung Gear VR content, it’s a lot tighter. Users can’t exceed 30 minutes of playtime and have to have purchased the title within the past three days. The refund policy also will not apply to movies, bundles or in-app purchases. Users can request refunds through the purchase history page. People have been saying VR has a problem with content quantity and quality, and while the former definitely appears to be getting solved as time goes on, the latter is a bit trickier. It isn’t in anybody’s best interest for people to download a game, have an awful experience and then grow discouraged from investing in future content. For Oculus, the content team has to get people comfortable with paying for high quality stuff. Nevertheless this is all a bit complicated for developers. Users who drop $20 on a title expecting what they’d get from a comparable console game are never going to be pleased with VR. The market is so much smaller that unless devs have substantial VC subsidization, the margins aren’t going to allow them to basically give away content their teams labored away on. I would expect some backlash from developers, especially regarding the length of time users can play a game before deciding they don’t want to keep it. The new refund policy is live now, the company details that the process should take no more than five days to initiate a refund if the request is eligible. Whole Foods Market is the latest company that has suffered a security breach, with the national supermarket chain revealing that its customers’ payment card information has been illegally accessed. The information in question was used at taprooms and full-service restaurants located within some stores. These venues use a different point of sale (POS) system than the company’s primary store checkout systems, and payment cards used at the primary store checkout systems were not affected. The company said that once the breach was discovered, it launched an investigation, hired a leading cybersecurity forensics firm and contacted law enforcement. Whole Foods is assuring customers that it is taking appropriate measures to address the issue. Whole Foods was acquired by Amazon earlier this year, but the Amazon systems do not connect to the systems at Whole Foods Market, and transactions on the eCommerce giant’s site have not been impacted. The investigation is ongoing and Whole Foods will provide additional updates as it learns more. While most stores do not have these taprooms and restaurants, the company is encouraging customers to closely monitor their payment card statements for any unauthorized charges. This is just the latest payment security breach consumers need to worry about, with the biggest being Equifax’s massive hack that has impacted about 143 million Americans. Hertfordshire Community NHS Trust becomes first healthcare provider to trial open source telehealth system originally developed by NHS Digital using Raspberry Pi devices. Hertfordshire Community NHS Trust has launched a pilot using a telehealth system created on a Raspberry Pi to monitor patients at home. The trust is the first to trial the telehealth kit, called MediPi, which was created by NHS Digital in 2016. The project is led by clinicians at Hertfordshire, and involves giving patients basic medical devices, such as blood pressure cuffs, finger oximeters and diagnostic scales, which connect to a touchscreen tablet running the MediPi system either via Bluetooth or USB. The measurements from the devices are sent directly to the MediPi system through a secure and interoperable messaging functionality. Last year, Richard Robinson, a technical integration specialist at NHS Digital, told Computer Weekly that the software is built on JavaFX, which means it’s platform agnostic and doesn’t necessarily need to run on Raspberry Pi. “We’ve taken a very simple approach where we take all the data from the device and send it over raw,” he said. According to NHS Digital, the Hertfordshire pilot currently has around 50 participants signed up, with between 10-15 devices already transmitting data. “The measurements are also being taken by clinicians during this pilot phase to measure the accuracy of the devices’ transmissions,” NHS Digital said. The centre developed a MediPi prototype last year as a response to the numerous expensive telehealth kits out there, wanting to prove it could be done cheaper without compromising functionality or security. It runs on both open source hardware and software. The MediPi tablet has a simple interface using a tile dashboard for easy interaction. Each tile represents a device, such as the blood pressure cuff, and also has a quick “yes” or “no” questionnaire for patients to fill out. The system has three main clinical applications focusing on heart failure, COPD and diabetes, according to its Github page. Now don’t get too excited yet. 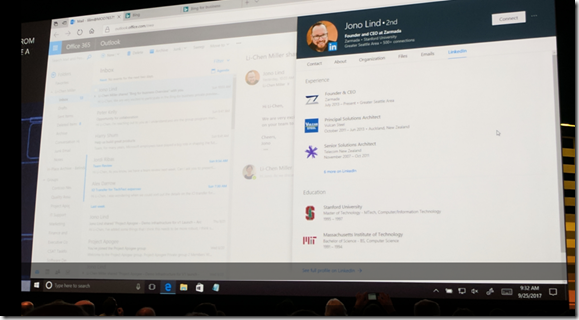 What we’re talking about here is the integration of LinkedIn data with Office 365 profile cards. So assuming you don’t know much about your professional contacts and colleagues yet, you can now see more information about them right in Office 365 without having to go to their LinkedIn profiles (and potentially showing up as that one person who looked at their LinkedIn profile that week, which will surely trigger yet another LinkedIn email for them). 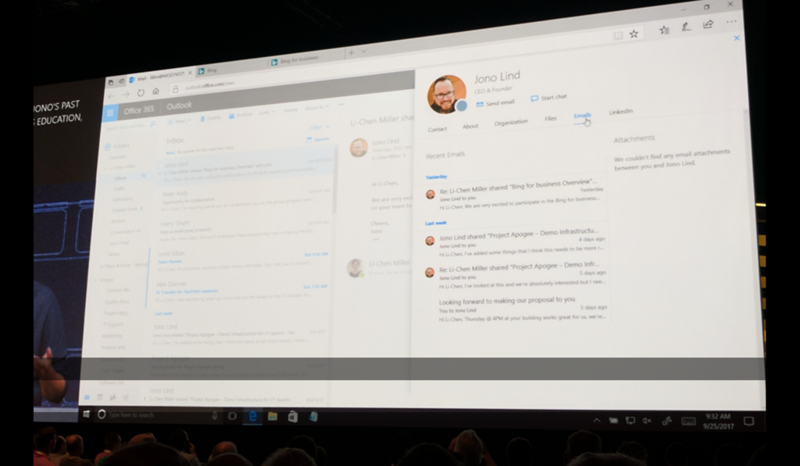 All of this sounds a bit like Microsoft spent $26.2 million to save you a click. But there is more. 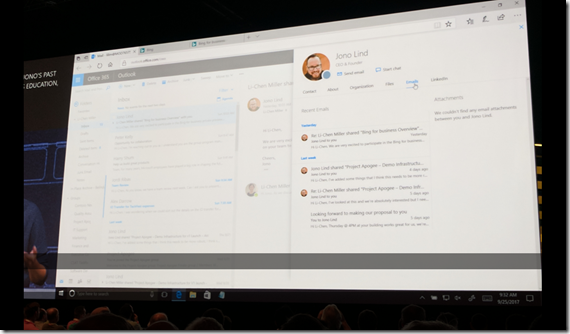 Soon, Dynamics 365 for Sales, Microsoft’s CRM solution, will get the same profile integration and its users will be able to send LinkedIn InMails and messages directly from within Dynamics. Do I hear you saying that this is evidence that sometimes dreams really do come true? Well, yes, indeed. They do. Some Apple Mac users are at risk of password theft due to a zero-day vulnerability discovered in some versions of the operating system. 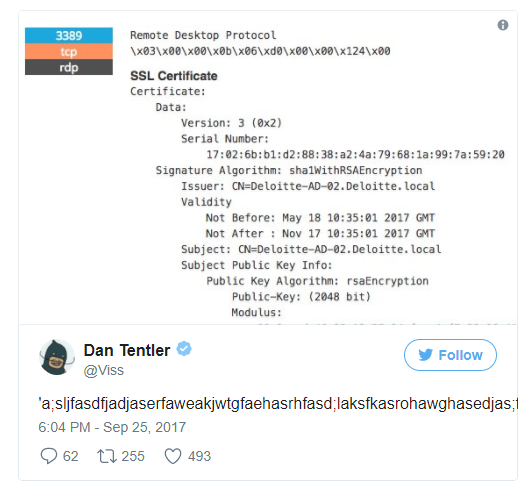 A vulnerability in High Sierra and earlier versions of Mac OS can be exploited to steal plaintext passwords stored in the Mac keychain, according to security researcher Patrick Wardle. Although the Mac keychain digital vault is designed to allow access to applications only if the user enters a master password, Wardle discovered a vulnerability that allows rogue apps access to steal passwords. Wardle, a researcher at security firm Synack and a former US National Security Agency (NSA) employee, posted a video online to support his claim. The video shows how an attacker on a remote server running the Netcat networking utility can use a rogue app to upload all the passwords stored in a Mac keychain. The video shows the password theft can be carried out without any user interaction beyond installation of the rogue app and without any warnings from the Mac OS or call for the master password. 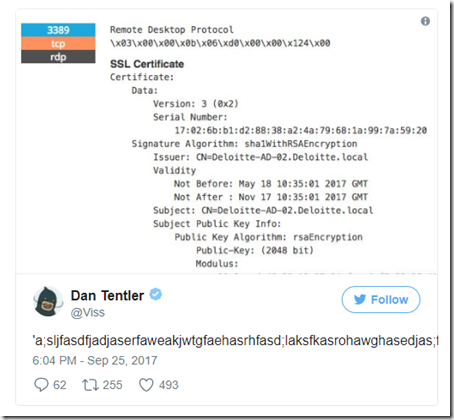 Wardle notified Apple of his discovery, but decided to go public after Apple released High Sierra without patching the vulnerability. Apple said in a statement: “Mac OS is designed to be secure by default, and Gatekeeper [Mac OS security feature] warns users against installing unsigned apps, like the one shown in this proof of concept, and prevents them from launching the app without explicit approval. However, for just $99 a year, attackers could join the Apple Development Program, which would allow them to sign apps with embedded functionality to steal passwords. Although Apple has a bounty program that pays as much as $200,000 for security vulnerabilities in iOS that runs iPhones and iPads, the company does not have a similar program for Mac OS. Earlier this month, Wardle blogged about another zero-day vulnerability in High Sierra’s SKEL (secure kernel extension loading) feature that enables attackers to bypass the security feature. “Unfortunately, when such ‘security’ features are introduced – even if done so with the noblest of intentions – they often just complicate the lives of third-party developers and users without affecting the bad guys (who don’t have to play ‘by the rules’),” he wrote. “High Sierra’s SKEL’s flawed implementation is a perfect example of this. The company confirmed that it has launched an investigation, but it has not provided any information on the possible number of affected restaurants and customers. “Will customer loyalty be shaken? If the past as with the Wendy’s breach is prologue, then the answer is a qualified maybe, and if so, then only slightly. However, this – coupled with the tsunami of recent breaches – might just be the game changers that lead US Federal authorities to better protect the data collection, processing and storage of customer data,” said Robert W. Capps, VP of Business Development at NuData Security. Collaboration with NTT Comm creates data center safe space. Dell and cloud managed services provider NTT Communications have launched a specialized server that lets IT departments test apps for Microsoft’s Azure Stack. As an on-premises version of Azure, Redmond’s new platform is designed to reduce cloud-native app latency while better addressing sovereignty and security, à la VMware’s offerings. While you could order Azure Stack on Dell servers today, naturally it is “highly recommended” to check and see whether your applications are compatible first. With the new testing server, IT departments can do exactly that. Well, at least for “non-production virtual workloads at limited scale,” NTT said. For a “low” fee covering engineering services and rented runtime, customers get to test their apps on a node server in an NTT data center. If they later decide to sign up for NTT’s managed Azure Stack solutions, the testing fee is refunded. But it’s “not going to be right for everyone,” he said. If you’ve committed to Azure Stack, then instead of paying for NTT’s platform, “you may be better off just biting the bullet, putting the environment in place in your own data center, then managing the testing in house,” he added. Deloitte is a sitting duck: Key systems with RDP open, VPN and proxy ‘login details leaked’. Yes, that’s Gartner’s security consultancy of the year. News that multinational consultancy Deloitte had been hacked was dismissed by the firm as a small incident. Now evidence suggests it’s no surprise the biz was infiltrated: it appears to be all over the shop, security wise. The next day, what seemed to be a collection of Deloitte’s corporate VPN passwords, user names, and operational details were found lurking within a public-facing GitHub-hosted repository. These have since been removed in the past hour or so. In addition, it appears that a Deloitte employee uploaded company proxy login credentials to his public Google+ page. The information was up there for over six months – and was removed in the past few minutes. On top of these potential leaks of corporate login details, Deloitte has loads of internal and potentially critical systems unnecessarily facing the public internet with remote-desktop access enabled. All of this gear should be behind a firewall and/or with two-factor authentication as per industry best practices. And likely the best practices Deloitte recommends to its clients, ironically. 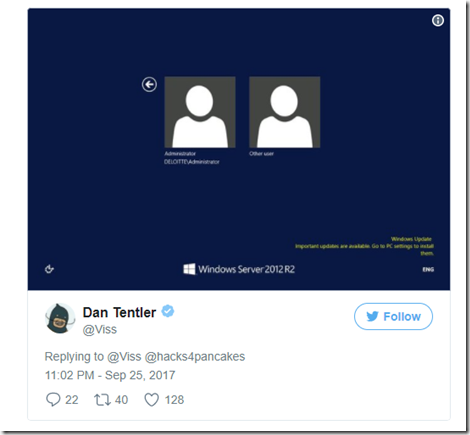 For example, he found a Deloitte-owned Windows Server 2012 R2 box in South Africa with RDP wide open, acting as what appears to be an Active Directory server – a crucial apex of a Microsoft-powered network – and with, worryingly, security updates still pending installation. Other cases show IT departments using outdated software, and numerous other security failings. These systems could be used as crucial footholds for hackers into the consultancy giant’s internal networks. The Google+ page appeared to show that a Deloitte employee has been writing down VPN access controls on his personal page in full view of everyone. Using Google’s vaunted search facilities, a hacker could easily find enough information to launch an attack with a good chance of success. All this is embarrassing for Deloitte, which billed itself as the top IT security consultancy in the industry. The firm makes millions selling its tech guru services to others for a hefty price – and yet seems to ignore potentially gaping holes in its own IT infrastructure. The details now emerging are also rather embarrassing for analyst firm Gartner, which in June named Deloitte the world’s best IT security consultancy for the fifth year in a row. Gartner has yet to respond to a request for information on how its conclusion was reached. 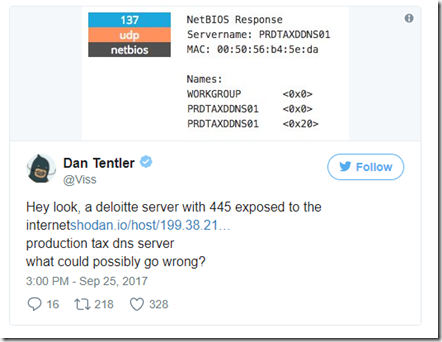 It doesn’t help that Deloitte isn’t much liked by other security researchers for its business practices. The firm has a reputation for low-balling contractors on fees – particularly for penetration testing – and the schadenfreude of Deloitte being so bad at its own security has delighted some. “Between Equifax and Deloitte, starting to see though the tissue paper of corporate America’s security industry companies making huge claims, when in reality it’s a whole bunch of hypocrites,” said Tentler. In a story published Monday morning, The Guardian said a breach at Deloitte involved usernames, passwords and personal data on the accountancy’s top blue-chip clients. In a statement sent to KrebsOnSecurity, Deloitte acknowledged a “cyber incident” involving unauthorized access to its email platform. However, information shared by a person with direct knowledge of the incident said the company in fact does not yet know precisely when the intrusion occurred, or for how long the hackers were inside of its systems. This source, speaking on condition of anonymity, said the team investigating the breach focused their attention on a company office in Nashville known as the “Hermitage,” where the breach is thought to have begun. The source confirmed The Guardian reporting that current estimates put the intrusion sometime in the fall of 2016, and added that investigators still are not certain that they have completely evicted the intruders from the network. 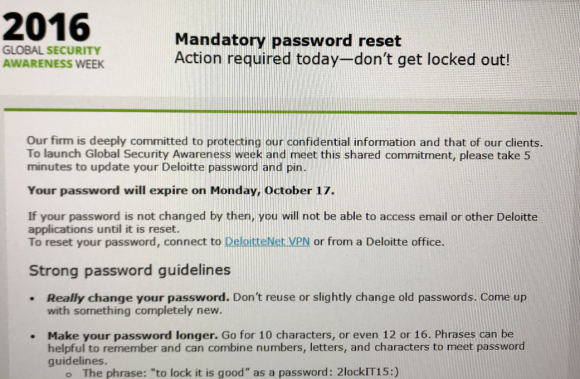 A screen shot of the mandatory password reset message Deloitte sent to all U.S. employees in Oct. 2016, around the time sources say the breach was first discovered. “Cyber intel” refers to Deloitte’s Cyber Intelligence Centre, which provides 24/7 “business-focused operational security” to a number of big companies, including CSAA Insurance, FedEx, Invesco, and St. Joseph’s Healthcare System, among others. “Deloitte remains deeply committed to ensuring that its cyber-security defenses are best in class, to investing heavily in protecting confidential information and to continually reviewing and enhancing cyber security,” the statement concludes. Deloitte has not yet responded to follow-up requests for comment. The Guardian reported that Deloitte notified six affected clients, but Deloitte has not said publicly yet when it notified those customers. Deloitte has a significant cybersecurity consulting practice globally, wherein it advises many of its clients on how best to secure their systems and sensitive data from hackers. In 2012, Deloitte was ranked #1 globally in security consulting based on revenue. Deloitte refers to one or more of Deloitte Touche Tohmatsu Limited, a private company based in the United Kingdom. 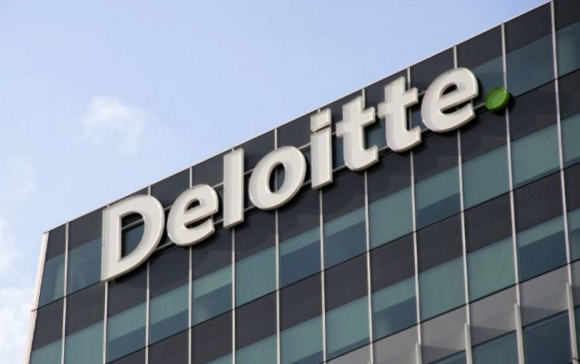 According to the company’s Web site, Deloitte has more than 263,000 employees at member firms delivering services in audit and insurance, tax, consulting, financial advisory, risk advisory, and related services in more than 150 countries and territories. Revenues for the fiscal year 2017 were $38.8 billion. The breach at the big-four accountancy comes on the heels of a massive breach at big-three consumer credit bureau Equifax. That incident involved several months of unauthorized access in which intruders stole Social Security numbers, birth dates, and addresses on 143 million Americans. This is a developing story. Any updates will be posted as available, and noted with update timestamps.